Beautiful and luxurious accommodation with banquet hall. 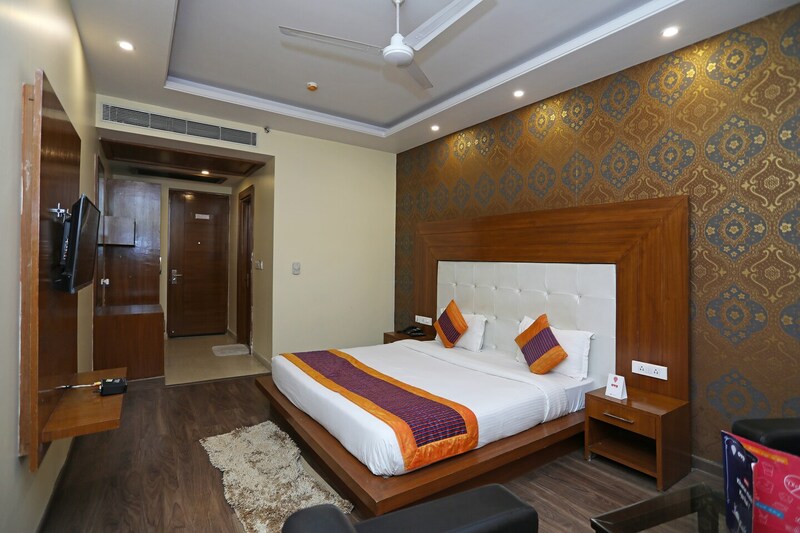 Hotel Q Cent, a lovely accommodation, is located near Engineers India Limited Bus Stop. Huda Metro Station and IFFCO Chowk Metro Station are also located nearby. The decadent beauty of this hotel lies in the charming modern design it employs for the decor of its rooms. The modern decor is clubbed with intricate and expensive traditional design trends to bring out a beautiful vibe. The rooms are provided with expensive fabrics and modern furnishings. The hotel also houses a banquet hall. The rooms are provided with TV, AC and free Wi-Fi. Parking facility is also available for the guests. Restaurants like Beanstalk- The Galaxy Hotel and The Monk - The Galaxy Hotel are located at a walking distance from the hotel. Other nearby restaurants include Nite Bites and Wai Yu Mun Ching.